SUCH a beautiful idea. 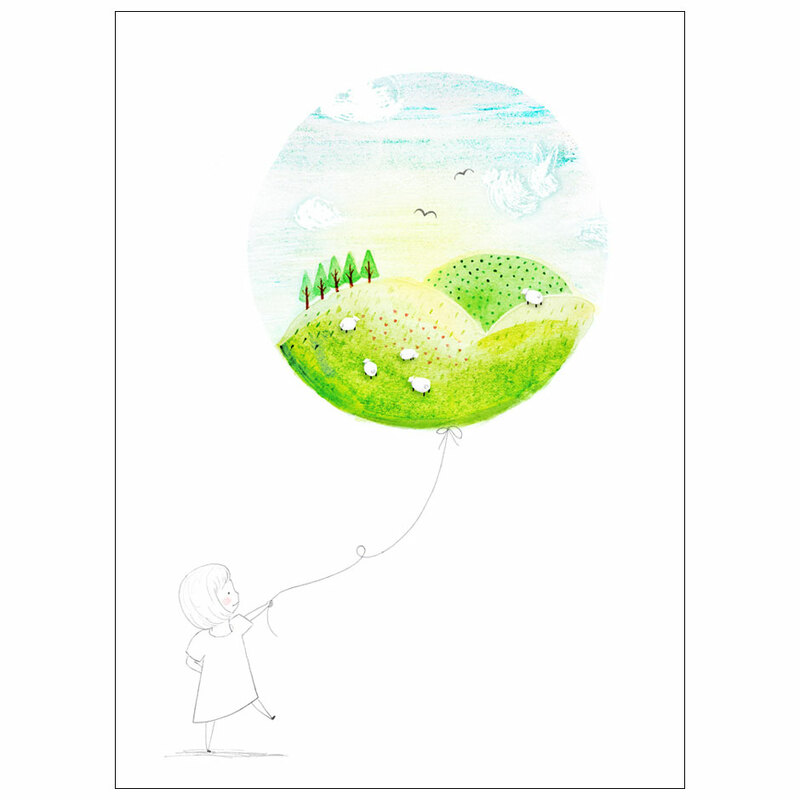 A sweet green hills scene painted with watercolours and coloured pencils with fluffy clouds in the sky is captured in a balloon; its string held by a little girl whose outline is drawn in blue biro. This whimsical illustration would be perfect for a child's bedroom or baby's nursery. Giclee print of an original watercolour and pencil illustration. Border around print to allow for easy framing. Paper measures 29.7 x 42cm (A3). Printed on Museo Portfolio Rag, an archival acid-free paper, with a smooth matte finish. 100% cotton rag, 300gsm. Thick and lovely.